Why Buy a 2016 BMW Z4? 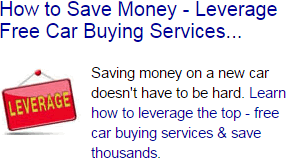 The one manufacturer name that constantly comes up when talking about luxury car brands is BMW. BMW has a history of creating great cars that appeals to those who have more money to spend on a new car, and many of these models retain their value from one year to the next. The Z4 is the newest addition to the company's line of luxury sports cars. Released in 2003, it immediately won the Design of the Year Award given by Automobile Magazine. Though it is now on its second generation, the 2016 BMW Z4 still has the sporty look of a roadster. As BMW introduced the second generation of the Z4 in the last few years, it didn't make many changes to the new 2016 model. According to U.S. News and World Report, the new model ranks as one of the top luxury sports cars of the year. The car comes with either a manual or automatic transmission that can get up to 34 mpg on the highway. The 2016 BMW Z4 comes standard with a turbocharged 24 horsepower engine that produces 260 torque. Those who want to feel the engine roar may prefer the 335 horsepower engine with 332 torque. Both engine types are available with an automatic or manual transmission. Though BMW doesn't use leather, it uses a leatherette that looks like real leather. The wood trim and chrome accents on the interior work with that leatherette to make the car look like it costs a lot more. Those chrome and wood decorations carry cover onto the doors and dash too. The leatherette covers used on the seats feel soft and smooth against the bodies of those inside. Though the seats adjust in eight different ways, BMW also offers a package that comes with 10 adjustments on each seat. Shoppers can also opt for heated seats as well. Basic interior features that come standard on this model include an HD radio, auxiliary port for connecting electronics, USB ports, and Bluetooth connectivity. Additional features include the BMW app that lets drivers connect their phones to the system. They can also add a navigational system. When the temperature rises, drivers don't want to feel confined within their cars. That is why the 2016 BMW Z4 is a roadster that looks like a sporty little convertible. Drivers can quickly take off the hard top to turn the roadster into a sleek convertible. The 2016 BMW Z4 comes with a small trunk that expands significantly when the top is off. It also has a pass-through trunk that lets passengers place items in the trunk without getting out of the car. Additional storage pockets sit on the back of each seat. Two control systems come standard on this new BMW model. Electronic stability control is a system that stabilizes the car to reduce the risk of an accident. It also features traction control that works with the wheels and axles to keep the roadster's tires from skidding on slicker roads. While the cost of a good sports car can easily reach $100,000 or more, the 2016 BMW Z4 is an entry-level model that costs less. BMW offers the base model for less than $50,000. Even with all the extra options, it still comes in at under $66,000. With three types of airbags, this roadster offers loads of protection. Side airbags deploy on either side of the car. The driver and passenger also receive protection from front head airbags. The four-wheel ABS system found on the 2016 BMW Z4 does a great job of keeping brakes from locking up. ABS kicks in when the car begins skidding across the road to prevent drivers from pumping the brakes. The National Highway Traffic Safety Administration and the Insurance Institute for Highway Safety are the two agencies responsible for releasing safety data regarding new cars. 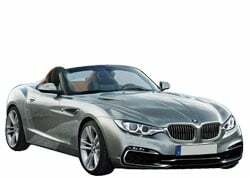 Neither of these agencies issued reports on the 2016 BMW Z4 or the 2015 model. Drivers may prefer cars that come with safety information they can trust. Controls located on the dashboard and in the center of the car allow drivers to change the radio, adjust the temperature and turn on other features. Though BMW uses the same controls across all models, some may find that these are hard to use. Drivers new to BMW may need a few weeks or more to learn how everything works. Many shoppers look for sports cars because they like the easy handling of those cars, but the handling on the 2016 BMW Z4 is poor to average. While the steering wheel will still keep the car moving between lanes and around corners, some drivers may find that the handling is tighter than they would like. That handling may require more adjustments as well. Anyone who looks at the 2016 BMW Z4 will immediately compare it to the Boxter from Porsche. While these two models both look like a little roadster, the Z4 has a slightly longer nose and a larger trunk area. It also has a smoother running engine than the Boxster has. Some may also compare it to the luxury 4-Series from BMW. The 4-Series is more of a family car. It doesn't reach its top speed as fast as the 4 does and looks little dodgy when compared to the Z4. There is no comparison between the 2016 BMW Z4 and other luxury sports cars. Prices across all models are fairly standard, but the Z4 has a stronger and sportier look. It also features more trunk space and accelerates faster than some of those other models. It acts as a good introduction to the world of luxury sports cars and a great option for those who owned a sports car in the past.